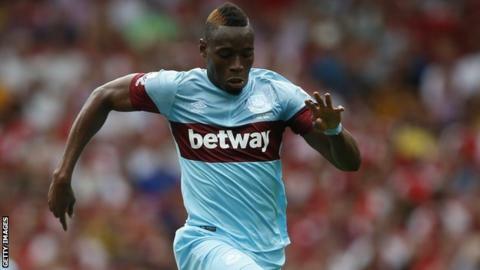 West Ham striker Diafra Sakho has been called up by Senegal for the first time since he missed the 2015 Africa Cup of Nations tournament. He is set to face Namibia in a 2017 Nations Cup qualifier on 5 September. The 25-year-old angered Senegal by pulling out of their squad for January's tournament in Equatorial Guinea because of a back injury. But while the tournament was proceeding, he played for his English Premier League club. Also in the squad is Kalidou Koulibaly, who has been called up for the first time. The Napoli defender committed to an international future with the Teranga Lions after winning junior caps for France, where he was born. But there is no place for the experienced striking quartet of Demba Ba, Papiss Cisse, Dame N'Doye and Moussa Sow. Coach Aliou Cisse has stuck largely with the same squad that beat Burundi in the opening qualifying fixture in June.